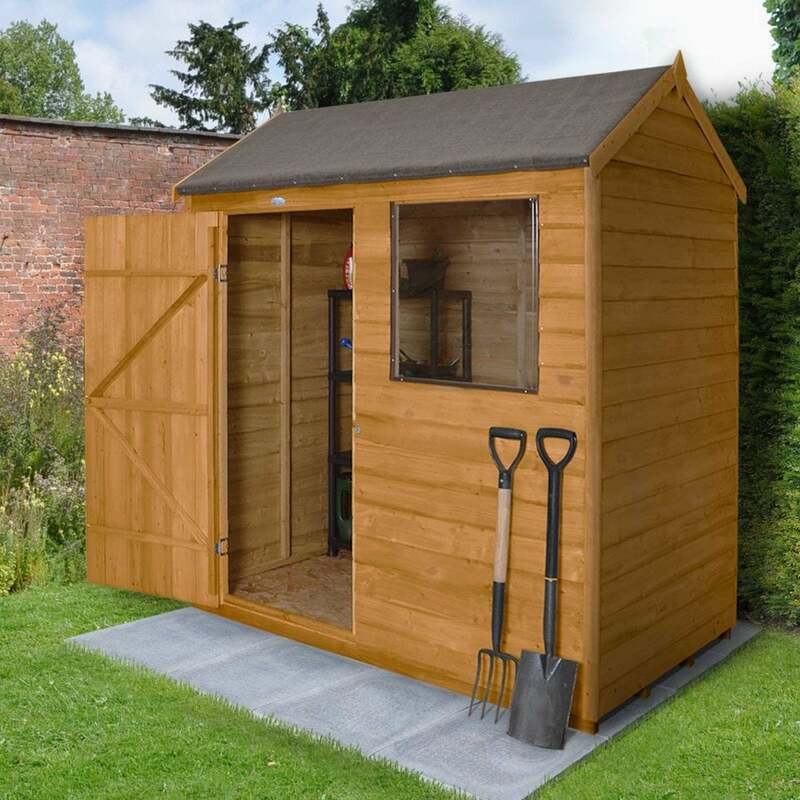 Forest Garden 6 x 4 Overlap Dip Treated Reverse Apex Shed: This Forest Garden Reverse Overlap Shed is another fabulous compact shed that features the doors and window located on the side and is suitable for smaller gardens and general storage. The 7mm square cut overlap boards have been designed to allow for movement, flexibility and lets water run off the building. The single door to this shed has been double braced for added strength and features secure hidden hinges and a hasp and staple lock for extra security. The glazing to this shed is an unbreakable polycarbonate and allows light to flow through and won’t fade over time. The Forest Garden Overlap Shed comes with shed felt material and both the floor and roof are Oriented Strand Boards. The shed can be placed against a wall or fence however, the apex roof is finished with an attractive smooth planed barge boards and finial.